Lawyer Paul Madriani tackles another thrilling case in this explosive mystery from New York Times bestselling author Steve Martini. When Judge Armando Acosta is charged with soliciting a prostitute, attorney Paul Madriani is less than sympathetic. Nevertheless, Madriani is forced to defend his old nemesis. And when the policewoman who snared Acosta is brutally murdered, Madriani wonders if the judge is also the executioner. Steve Martini worked as a newspaper reporter in Los Angeles and as a capital correspondent at the state house in Sacramento, California. An honors graduate at the University of California at Santa Cruz, Mr. Martini holds his law degree from the University of the Pacific’s McGeorge School of Law. He has written widely on the law and politics, having covered both state and federal courts, the state legislature, and the administrations of governors Ronald Reagan and Jerry Brown. 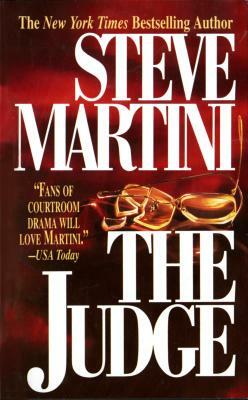 In 1984 Martini turned his talents to fiction, quickly earning positions on bestseller lists and garnering both critical and popular praise for his New York Times–bestselling novels, including The Simeon Chamber, Compelling Evidence, Prime Witness, Undue Influence, The Judge, The List, Critical Mass, The Attorney, The Jury, and The Arraignment. Mr. Martini lives on the West Coast.